Natural rhythms and textures of the sounds hidden in the landscape form the basis of her work. Working on this sound material for performances, sound compositions or installations, Els Viaene takes the listener on a journey through imaginary and organic environments. Els Viaene will participate at the Ja Ja Ja Nee Nee Nee Radio show where she will be part of the item Vibrant Matter. 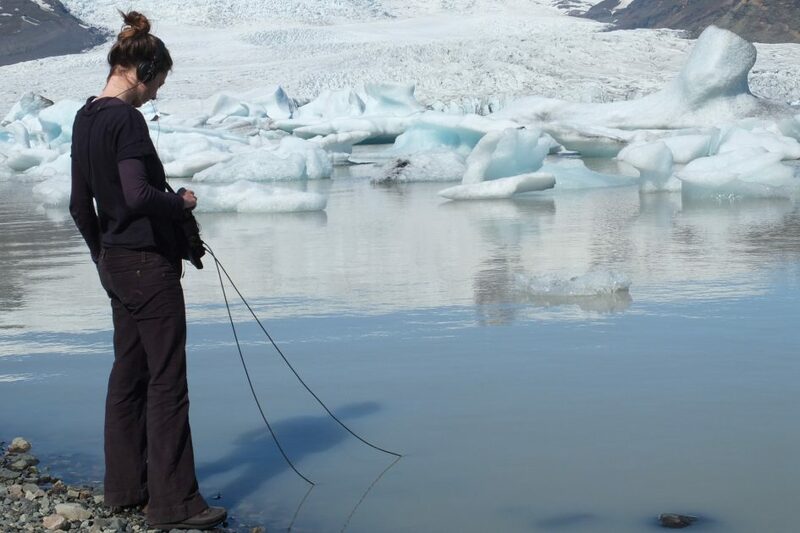 Els Viaene (1979, Belgium) started her work as a sound artist / field recordist in 2001. With a set-up of two small microphones, she listens, zooms in and enlarges the aural landscape surrounding us. Through the specific use and arrangement of sound within a space, her installations create new spaces within existing ones, either emphasizing or making the physical borders of that space disappear. In doing so, she often plays with the notions of seeing and hearing, the perception of what we see and hear and how they interact.